Thursday Talk - "Smoking is Good For You"
Most people start smoking when they are in their teens and are addicted by the time they reach adulthood. Some have tried to quit but have returned to cigarettes because smoking is such a strong addiction. It is a habit that is very difficult to break. There are many different reasons why people smoke. What do people get by smoking? There are many answers to the question and you can easily split it to two. First one to ask is why someone choose to smoke. For example, it may be that you are young and think it's cool, it looks mature. That it is exciting to do something that is forbidden and which the parents would not allow. That friends do it and it feels hard to say no, and wants to be one in the gang. It may also be that you try an identity, to be in a group that does something else does not dare or want. It can also be difficult for young people to deal with the risk of smoking, as many of them usually arise after a prolonged smoking. For example, some may say that they still only thought to smoke a shorter time that they will not continue in adulthood. Then you can ask why people continue to smoke even though they know it's dangerous. 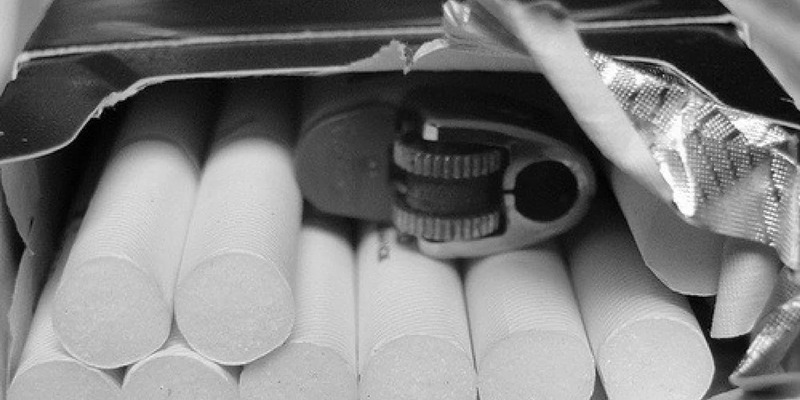 Then you will know that the nicotine contained in the cigarettes is highly addictive. This can cause an annoying withdrawal when trying to quit smoking and getting rid of the thoughts from smoking. Many decide to stop over and over again but find it hard to not start again. Then you need to learn about their addiction and find strategies to avoid situations where you risk being subjected to strong signs. Nor should you forget that smoking can be a signal to the outside world that something is not right. If someone feels bad and does not feel familiar, smoking (or other destructive behavior) can be a way of getting in touch with the environment. When the person smokes, the person may be alerted and may experience environmental concern that otherwise does not seem to care very much. It may be good to keep in mind when talking to someone who smokes, so do not miss out on how the person has it in life. To clarify this post, I am not smoking. But to write about this interesting topic is pretty cool to understand why does people do it.